The Dyna-Tek Intelligent Air Cushion incorporates Reactive Airflow Technology which is basically a system of air and foam filled cells with a patented valve system that is designed to displace and adjust air in response to the users body weight and movement. The Dyna-Tek Intelligent Air Cushion automatically adjusts to each user and delivers superior pressure re-distribution. It features a self-maintaining intelligent air valve system that ensures no air leakage. It also incorporates Reactive Airflow Technology which is basically a system of air and foam filled cells with a patented valve system that is designed to displace and adjust air in response to the users body weight and movement. 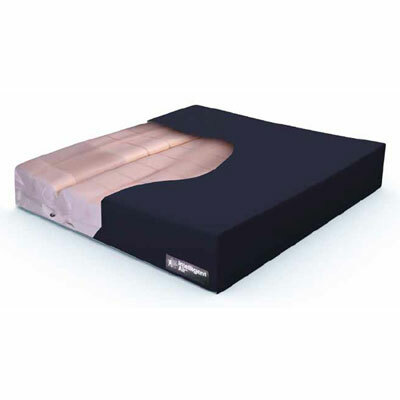 It has been designed to be used by users who are considered at a 'Very High Risk' of developing pressure ulcers.